David Johnston runs a great photography podcast called the Photography Roundtable where he discusses photography related topics with a variety of different photographers. David recently interviewed me via Skype and we discussed various topics including my background in photography, favorite places to shoot, processing techniques, gear and printing preferences, and more. Check it out here! Posted in Articles, Publication on November 23, 2015 January 12, 2016 by Jack Brauer. 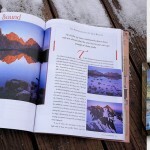 ← Previous: "Colorful Crested Butte"
Nice interview, and happy holidays!